With strong ties to our community, our law firm cares deeply about the legal issues that affect our local families. As such, we strive to deliver the highest level of legal service possible to protect our clients' best interests and achieve their goals. 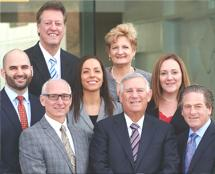 Over the course of our history, we have assisted thousands of individuals and their families with their most sensitive and pressing legal needs, earning us a reputation as one of Long Island's most respected and trustworthy family law practices. If you are facing divorce or need to modify an existing court order, or if you have a legal need regarding another issue related to your marriage or your family, you can rely on the Tabat, Cohen, Blum & Yovino, PC, law firm for effective, professional representation.